The HOV lane for Houston’s Eastex Freeway was shut down this morning due to a multi-vehicle crash that included an 18-wheeler. At around 7:30 a.m. the 18-wheeler crashed through the concrete barrier that separates the main lanes from the HOV lane. 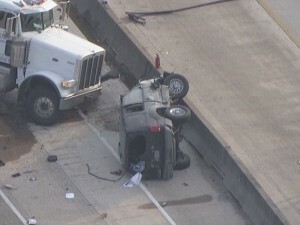 News media pictures show an SUV lying on its driver’s side. 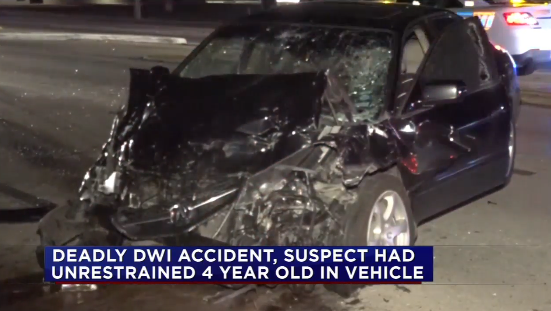 A driver has been charged with intoxication manslaughter for a fatal crash on FM 1960 near Fritz Oak Place at 2:00 a.m. this morning, and apparently had his unrestrained 4-year old daughter with him in the vehicle at the time. According to Channel 13 Houston, the alleged drunk driver was heading westbound on FM 1960 when he attempted to make a u-turn. 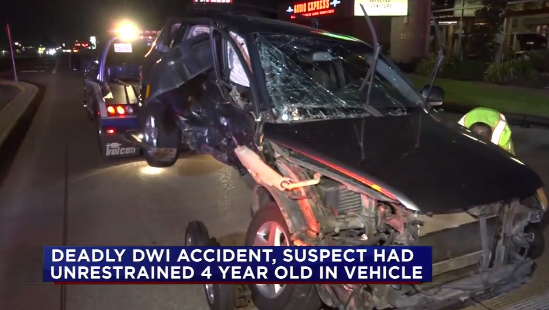 His SUV pulled in front of the victim’s vehicle, and the victim’s vehicle t-boned the drunk driver. The victim died instantly. The alleged drunk driver wasn’t hurt, but his 4-year old daughter was transported to the emergency room. All inbound lanes of Interstate 45 (Gulf Freeway) were briefly closed early this morning after a two car accident. A Chevrolet Malibu sedan was heading northbound when, for some reason, the vehicle struck the center divider wall and spun out of control, stopping in a travel lane in the freeway. The Malibu was then hit by an approaching yellow-colored Chevy Camaro. The driver of the Malibu was thrown from the vehicle in the crash. Remarkably neither driver sustained life threatening injuries according to Channel 13. 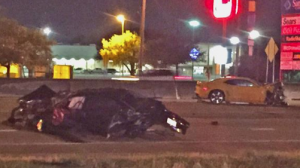 The accident happened around 12:30 a.m. and the freeway was reopened by 4:15 a.m.